Guindon Moving & Storage is a family-owned and operated Stevens Worldwide Van Lines agency serving in the Upper Peninsula. Our moving company started over 80 years ago as a very small, customer-oriented moving company based in Michigan’s Upper Peninsula. Since then we have continued this tradition of making customer service our number one priority, which has enabled us to become the largest moving company in Northern Michigan and Northern Wisconsin. Our moving company provides residential and commercial moving services to the families and businesses throughout the Upper Peninsula and Northern Wisconsin. Our depth of experience and skills will ensure you have a successful move when moving with Guindon Moving & Storage. 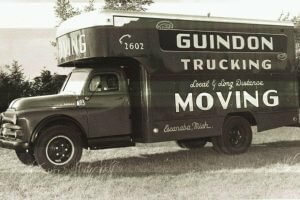 You may be thinking “Can a mover near me really make moving this easy?” Yes, Guindon Moving & Storage can. 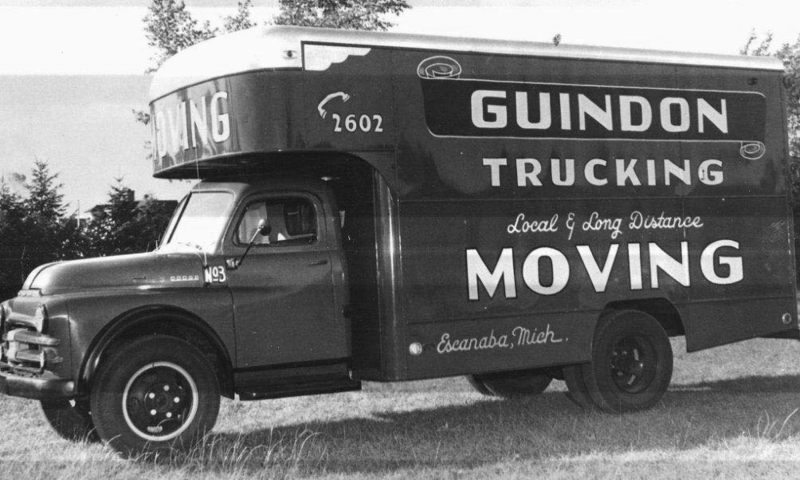 Guindon Moving & Storage has a fleet of 15 specialized moving vans ranging from 53’ tractor-trailers to small liftgate moving vans. We also have secure warehouse storage facilities to keep your business or household goods safe and damage-free for short or long-term if needed during your move. We have had the privilege of moving 4 entire hospitals, schools, and thousands of customers all over the world! Whether you’re a family moving long distance from Marquette to Denver, or a business moving across the UP, we have the resources and skilled team to complete your move anywhere in the Upper Peninsula efficiently and affordably. With our extensive experience in local, long distance, and international moves, you can trust us to take care of you no matter how big or small your move and no matter where your destination may be. At Guindon Moving & Storage, customer service is more than just two words and can mean many things. We strive for excellent customer service with every move and hold our moving and storage services to the highest of standards to ensure nothing but satisfaction to our customers. It starts the first time you call our office and speak with a friendly moving representative to go over your custom move plan. Great customer service includes showing up on time to move all of your belongings with a clean, properly equipped moving truck and having movers who are truly professional and detailed every step of the way. It involves having an experienced packing crew and a full line of packing materials ready for the job upon arrival. The combination of all of these aspects and more allows our staff to provide a very high level of service when it comes to your local, long distance, or overseas move. Our Northern Michigan movers are dedicated to providing you a smooth and stress-free moving experience. To get started with your Upper Peninsula move, contact us or fill out our online form for a free quote today! Looking to furnish your new home? We are proud owners of two Ashley HomeStore locations in the Upper Peninsula. One of our professional interior designers can help make your image come to life! Visit our Ashley HomeStore website today, or stop on by one of our two locations in Marquette and Escanaba! Let us furnish your home for you! Guindon Moving is conveniently located with 2 locations in the Upper Peninsula. Our company serves Marquette, Iron Mountain, Escanaba, Houghton, and all of Northern Michigan!